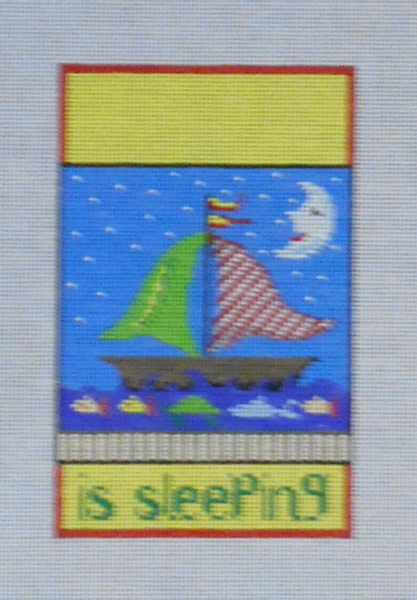 Sailing to the land of Nod. 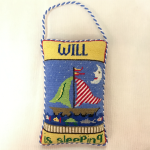 Room to personalize "'baby' is sleeping" door hanger or pillow. What a lovely gift for a new baby.